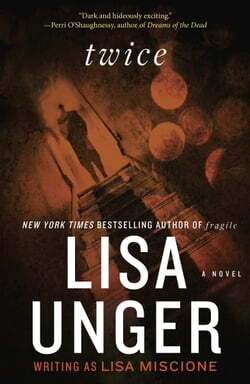 Book Three in Lisa Unger's Lydia Strong series Acclaimed artist Julian Ross has just been found standing over her husband's bloody corpse in their New York City apartment. Julian claims that she slept peacefully beside him while he was violently stabbed in their bed. But police are skeptical,... read more especially since Julian's first husband was killed and mutilated in exactly the same way. Julian turns to the tough-as-nails crime writer Lydia Strong, who plunges into the case with her signature grit and the help of her partner, P.I. Jeffrey Mark. Meanwhile, Lydia learns that Jed McIntyre, the serial killer who murdered her mother, is on the loose in New York. McIntyre is out for Lydia's blood, and his presence forces her to confront the evils of her past while solving her toughest murder case yet.